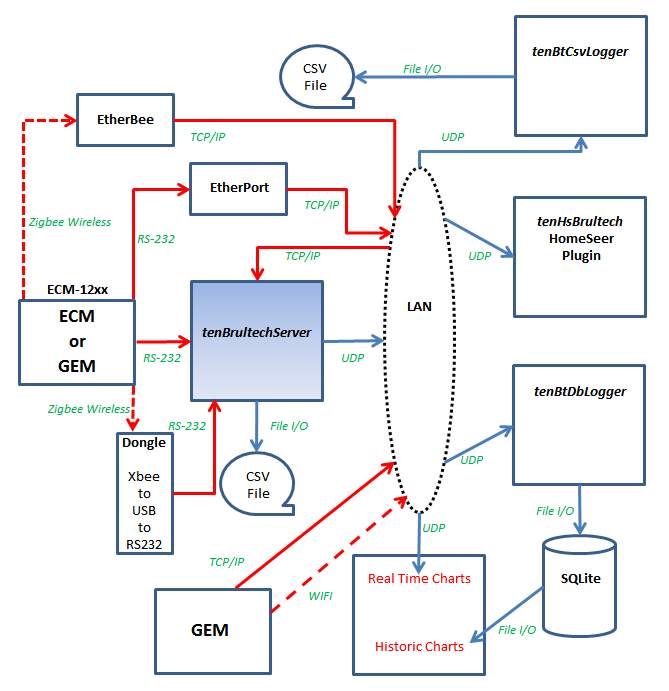 Because tenBrultechServer broadcasts each ECM/GEM record across the network in CSV format, it is fairly easy to write client programs that process the broadcast data. The record format is detailed here. 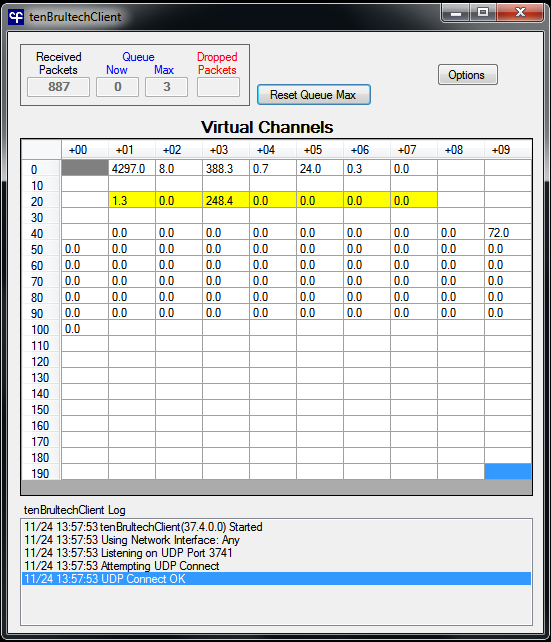 tenBrultechClient is a simple program that receives the broadcast packets and displays them in a grid in order to verify the proper configuration and operation of tenBrultechServer. The sample below shows the data received for ECM 1 (Virtual Channels 1-7) and ECM 2 (Virtual Channels 21-27), and GEM 4 (Virtual Channels 41-100) from the configuration sample. A packet has just been received from ECM 2. Use the Options button to specify which UDP port to use to listen for broadcasts from tenBrultechServer. The grid will be continually updated as packets are received, displaying the watts for each virtual channel. Bug: Installer incorrectly referenced tenBtRealtimeChart UpgradeCode. Please manually remove (control panel) any previous versions before installing this. New installer. Please manually remove (control panel) any previous versions before installing this.